After Builders Cleaners Commercial & Domestic Tower Hamlets E | Quality Property Care Ltd. Contact us now by calling 020 3746 4287 and get your property normal again with out professional after renovation cleaning service. We use only the finest of detergents to guarantee you get what you’ve called us for. For more than 12 years, Quality Property Care Ltd. has been providing both commercial and home after builders cleaning services to the people and businesses in Tower Hamlets E. The expert cleaning services is done by very thoroughly checked, reliable, fully insured and trained cleaners. The after builders cleaning services is hourly based, and naturally the number of hours booked depends on the customers preferences, as well as the size of the property, the volumes of debris and dust, and the overall condition of the premises after the refurbishment or construction work. 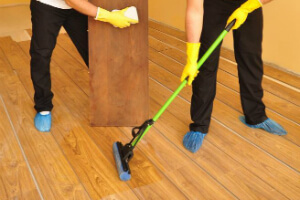 The company offers high quality and very expedient post-renovation cleaning and contract construction clean up services, and can also provide builders waste removal and a number of other cleaning and maintenance services. Renovations can not complete successfully in case you leave the mess after the building job. But cleaning all those stains, grime and dust is a huge challenge, isn`t this? The idea of Quality Property Care Ltd. friendly after builders cleaning company Tower Hamlets E is to discharge from at least one of the chores you have during the repairs. Thus, you save money and time! And once the after builders cleaning is over, you will immediately be ready to see the results of your building job. Sounds good, doesn’t it? In addition to this, you receive free cleaning tips from the helpful and enthusiastic after builders cleaners!